With the 2016 NBA Draft Lottery now a thing of the past, we can pretend to know how the first 14 picks will play out. We can analyze the prospects, look at teams’ rosters, and come to a logical conclusion about which players fit best with each organization. At best, though, these are just educated guesses. For the most part, nothing about this process is certain. Especially when a curveball can be thrown into the mix. We like to call this the trade. As we said before, we don’t really know how the 2016 NBA Draft will unfold, however we can nearly guarantee that teams will look to make moves. Some will move up. Some will move down. And others will move out of the first round entirely. This will only add to the excitement of the event. Although we won’t know anything for certain until the commissioner steps up to the podium, here’s a look at three teams we believe are destined to make trades on draft night. After suffering through an awful 23-59 campaign this past season, the Phoenix Suns came away with a decent consolation prize: the No. 4 overall pick in the 2016 NBA Draft. Yet, here’s the funny thing, this club may not actually be as bad as its record suggests. The Suns are simply young and inexperienced. With some wheeling and dealing on draft night, they could change that. The Suns hit a home run in the 2015 NBA Draft when they selected shooting guard Devin Booker with the 13th overall pick. And while he matured faster that most expected, while proving to be lights out from long range, he did join a crowded — and talented — Phoenix backcourt. And in a guard-driven league, this is a good thing. But now it’s time to address the frontcourt. We fully expect the Suns to use the fourth pick to add some size to the roster. However, Phoenix also has another lottery pick at No. 13, as well as the No. 28 overall pick. We can’t see the club using all three of these selections. We can, however, imagine the Suns packaging the latter two picks for a veteran presence and possible future assets. There is a solid core in Phoenix. Now it’s time to build around it. The Boston Celtics finished this past season with a 48-34 record and earned the No. 5 seed in the Eastern Conference. Yet, thanks to a past trade with the Brooklyn Nets (one that saw Kevin Garnett and Paul Pierce take their aging talents out of Boston), the C’s controlled Brooklyn’s pick in 2016. And since the Nets were among the worst teams in the league this year, Boston not only has the No. 3 overall pick, it has three selections in the first round. This just asks Danny Ainge to make moves. And we think he will. 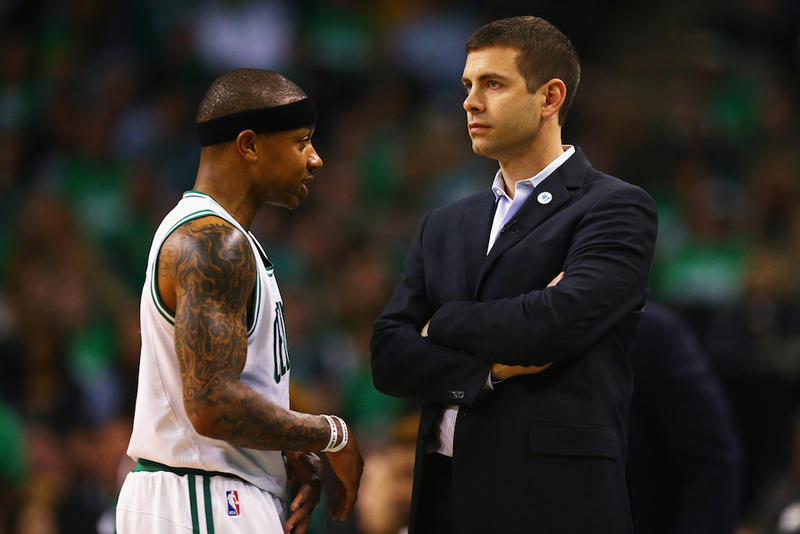 With Brad Stevens at the helm, the Celtics have already managed to outperform expectations. Yet, aside from point guard Isaiah Thomas, the C’s don’t really have any stars on the roster. This is where those picks could come in handy. Boston has a ton of draft capital at its disposal, and if the franchise can package those picks for a premiere player, then the Celtics will be that much closer to becoming a real threat in the Eastern Conference. For all we know, Ainge will select a player with the No. 3 pick. But if you believe he’ll use all three first-round selections in the 2016 NBA Draft, then it’s time to get your head checked. Ainge doesn’t roll that way. Call it luck, call it vindication, call it whatever you want. After three years of insufferable humiliation — the kind that only comes when you lose almost every game you play — the Philadelphia 76ers finally got their win, as they earned the No. 1 overall pick in 2016. Viva la Process! 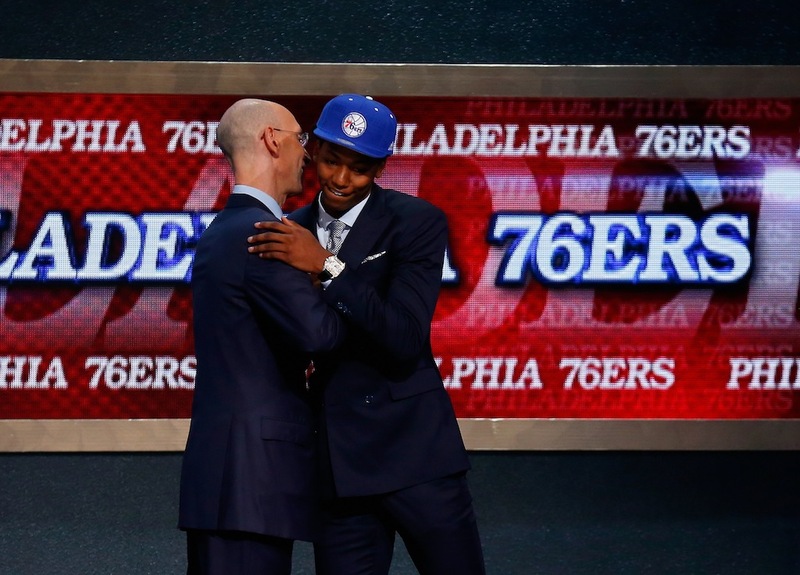 The Sixers will use that first overall pick. That much we can guarantee. However, the days of collecting assets and planning for the distant future is over in Philadelphia. That philosophy ended the day the Colangelos came into power and Sam Hinkie unleashed a 13-page resignation letter. 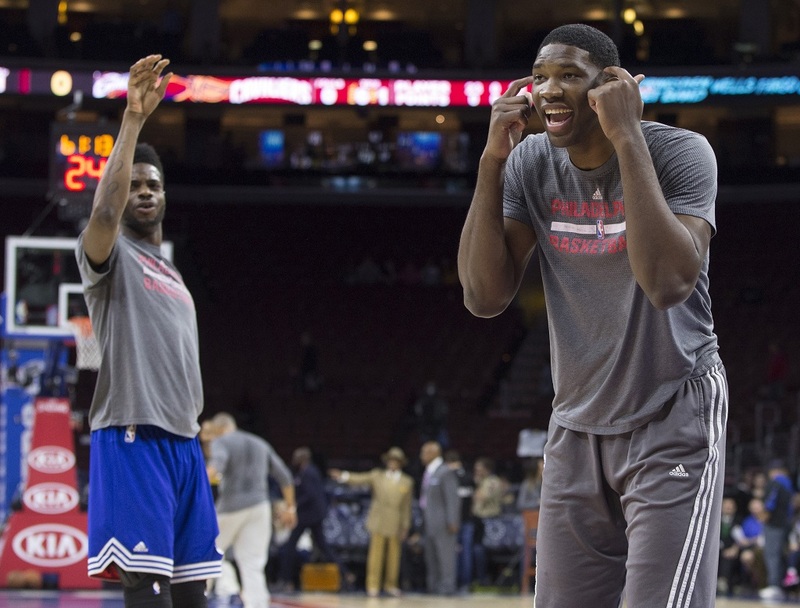 The Sixers want to attract talent to the franchise. They want to bring legitimate players into the fold. And with their two other first-round picks (No. 24 and No. 26), they are in a position to do so. Times are changing in Philadelphia. The 76ers seem open to a new goal: winning ball games. After selecting No. 1 overall, trading the other picks can only help the organization’s cause. We never thought we’d see the day. Statistics courtesy of Basketball-Reference.com, DraftExpress and NBADraft.net.